I canna BELIEVE I have never posted about this CD before. 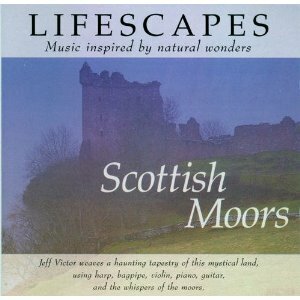 I read the entire Outlander series while listening to Lifescapes: Scottish Moors. It has ten of the most beautiful, instrumental songs that will melt your heart while Jamie melts your soul. Go here to listen to a preview of each song. And Amazon has the CD used for .82. Eighty two cents! Can't beat that with a stick! I listened to a track from this cd at Target this weekend. Loved it! SPOILER ALERT: Dinna read unless you have read The Fiery Cross. You guys...seriously. Listen to Epilogue - Farewell. I was so fortunate to have that come on during some extremely poignant scenes. One I remember was when Ian came back - and Claire saw him for the first time since he went to live with the Mohawk - and (I'm getting goose flesh whilst typing this) they told her he was staying...indefinitely. Oh my god. I can't tell you how deeply these songs are ingrained on my soul. WELL I am very frustrated now. I can not hear the music on the link you posted for some reason. John Mock is amazing. You will love his music. Thanks! Always looking for more good music! Here is a really good celtic album. This girl has an amazing voice. I also love this one! I think of Jamie and Claire all the time while I'm listening to this CD. My newest music kick has been listening to The Corries. If you've never heard them, you can check them out on Youtube. 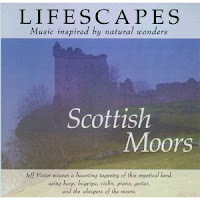 Hauntingly gorgeous Scottish folk music. Brings tears to my eyes every time. I love this CD! The Battle of Killiekrankie really trips my imagination.